These strings have by far the best feel of any string I've ever played. They feel very loose which I really enjoy and I find that it makes it very easy on your right hand to play(especially if for long gigs). I have these strings on my P Bass and a Six String Ibanez and they sound great on both. I find that they sound similar to tape wounds but are not so woody yet they still have a lot of pop. 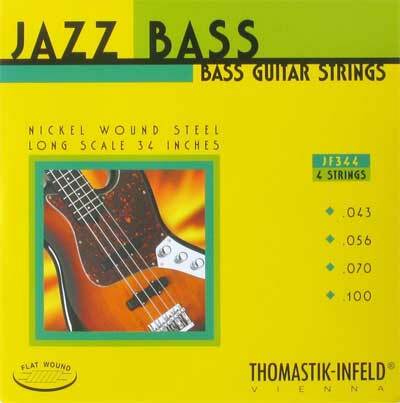 These strings are ridiculously exspensive, but I have not found sny other flatwound strings that have good full tone and sustain like these ones do. They are definatly worth purchasing as long as you are not someone who breaks strings frequently. $21.95 For an even lower price, add to cart.